Kitzbühel is one of the world's most popular ski resorts - in 2013, 2014, 2015 Kitzbühel was voted the Best Ski Resort in the World! It is family friendly, offering a wide selection of apres-ski activities. The architecture of the town is trip worthy just by itself. It has a beautiful, old, traffic-free centre combined with cobbled streets and lovely buildings. If Kitzbühel is your ski resort of choice, then Alps2Alps must be your transfer provider - we offer the best price and the best service in the market. The small town has a long and successful skiing tradition. Each January since 1930s world-famous downhill race is held at the Streif run that attracts top athletes and huge crowds of spectators - before and after the race it is a public area, therefore everyone has a chance to try the racecourse. An average of 200 days of skiing is possible in Kitzbühel making it a popular skiing destination. Choosing your transfer to Kitzbühel in midweek (Monday-Friday) means that the prices can be up to 60% lower than usual weekend prices! Booking during the off-season and off-peak means even bigger savings. The final transfer price to Kitzbühel will be influenced by vehicle availability and vehicle utilization, schedule of transfers and other costs for example road tolls and airport parking charges. In order to discuss any specific needs of your trip to Kitzbühel or your plans to travel as a larger group, please get in touch with us directly. Kitzbühel ski resort has an average of 155 days of skiing each season. 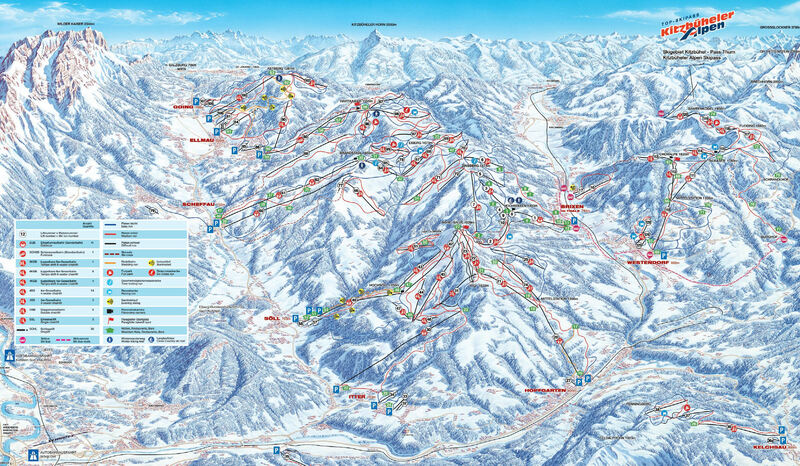 There is something for every taste - from gentle, beginner courses to world-class downhill pistes. The resort itself calls especially family friendly - not only they offer discounts for youth and families, but also there is a chance to take the Familienstreif family run down into the valley or discover the newly built Bärenland in Jochberg. If any member of your family has a need to improve his skills, local ski schools are one of the best in the whole region. 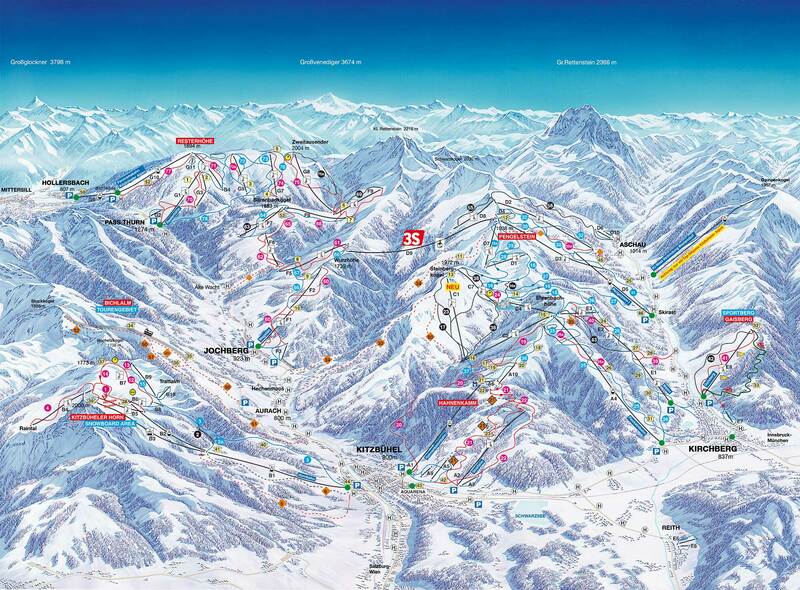 Kitzbühel is one of the most famous ski resorts of Austrian Alps, therefore be sure to book your transfer in advance. Write us or call us and let Alps2Alps know your travel plans to Kitzbühel - we will be happy to provide you with a perfect start to perfect ski holidays.